Easter in Italy: a time of culinary regional delights! Like most of their food traditions, Italians take the food for the Easter holiday very seriously. Each region has its own special dishes served for the occasion, without which no Easter table would be complete. Let’s look at some of the more notable delicacies served throughout the boot that lead up to Easter in Italy. The Colomba Pasquale, or Easter dove, although now eaten in all regions of Italy, originated in the region of Lombardia. This Easter dessert bread, shaped like a dove, came about in the ’30s. Dino Villani, the advertising director for the Italian company Motta, came up with the idea. He used a Christmas dessert bread “panettone” to make something similar for Easter. Thank you, Dino! He devised a sweet that’s similar to panettone which was intended to be consumed at the Passover feast. Soon after, Angel Vergara picked up the recipe which still produces the doves. Angel’s known for finding the Vergani in Milan in 1944. Since that time, the Easter dove has graced the tables of Italians and food fans worldwide. The original dough, made of flour, butter, eggs, sugar, and candied orange peel with a rich almond glaze, has taken on many forms and variations over the last 70 plus years. Nevertheless, still a very important Italian Easter staple. While very easy to find in Italy, the colomba pasquale’s not so easy to find in the States. Fear not though, here is a recipe that will allow this sweet Easter dove to land right on your Easter table. Pasimata is a cake bread that is a typical product of Tuscany consumed at Easter. There’s two versions of Pasimata. The first comes from the city of Lucca and the second comes from the cities of Camaiore and Garfagnana. 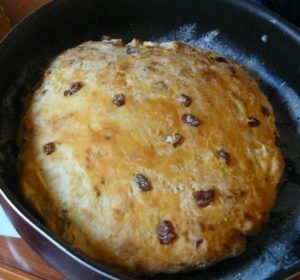 In Lucca, it is a sweet bread stuffed with aniseed, while in Camaione and Garfagnana, raisins are added, making it similar to panettone. The Pasimata of Lucca is rectangular and contains neither eggs nor raisins and usually takes about two days to prepare. The ingredients used are bread dough, aniseed, salt, milk and butter (or lard). In Garafagnana and Camaiore the ingredients are 00 flour, aniseed, butter, raisins, sugar, eggs, and vin santo (and sometimes candied fruit). The process takes about 3-4 days and typically consumed during Lent, all the way up until Easter. In the olden days, the bread was even taken to church to be blessed on Easter day. Even though the ingredients vary depending on the city, the origin of all versions date back to ancient times. Pasimata actually gets its name from the Latin word pasimatum, which means bread baked in the ashes. Here is a simple Pasimata recipe that will bring this Easter tradition right from Italy into your own home. Many families in Rome enjoy a dish known as pizza sbattuta for Easter breakfast. In fact, for many Romans, breakfast just isn’t complete on Easter morning without pizza sbattuta on the breakfast table. Though the name pizza would imply a savory dish, it is actually a sweet and soft dessert pizza similar to sponge cake. The term “pizza” in fact can translate not only to savory dishes but also to sweet dessert recipes. The name comes from the process used to knead the dough. Since the traditional recipe calls for no yeast, in order for the dough to achieve the right volume, it must be “sbattuta,” or beaten vigorously, for at least an hour. The dough then becomes foamy and, once cooked, high and fluffy. The ingredients are few (eggs, sugar, butter, flour, vanilla and lemon) and the tradition goes way back to when pizza sbattuta was part of a huge breakfast feast, served to people as a reward at the end of the 40 day fasting period for Lent. 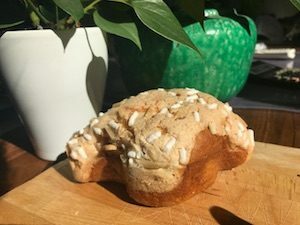 Casatiello is a traditional, savory Easter bread served throughout the region of Campania. For Neapolitans, Easter in Naples just wouldn’t be Easter without having this bread during the season. We can trace its origins back to at least the 1600s, as the first documented mention of it was made by the writer, Giambattista Basile in his fairy tale, The Cinderella Cat. In this tale, the festivities put on by the king to find the girl who lost her shoe. This also includes a large spread where casatiello’s also served. The casatiello’s made by preparing the bread dough and then stuffing it with cheese, lard, salami and other meats. The dough’s then set aside to rise, kneaded again after the first rising and then left to rise again. Once the dough has gone through the rising process, raw, whole eggs are placed on top, just inside the dough. The bread’s then cooked with the eggs inside, preferably in a wood-burning oven. The eggs’s partially protruding and prominent in casatiello and often covered by a thin, dough cross. Casatiello is specifically consumed at Easter because it symbolizes the crown of thorns worn by Christ at his crucifixion. 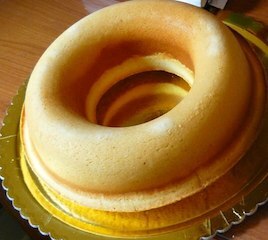 There is also a sweet version of casatiello. This version’s prepared with eggs, sugar, lard, and icing decorated with colorful confetti. This sweet version is widespread in Caserta and other sweet versions can also be found in Monte di Procida and Nola. You can recreate this bread at home by following this beautifully illustrated recipe. The Cuzzùpa’s (a.k.a. 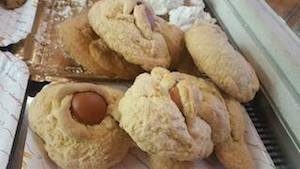 Angùta, Sguta dolce, Vutao or cullùra) a typical sweet consumed in Calabria at Easter. This Easter cake is of Eastern origin and symbolizes the end of fasting at Lent. The cake’s molded into various forms like animals and letters of the alphabet. If there is an engaged couple in the family during Easter, usually the mother-in-law, as a sign of respect to her future son-in-law, makes the cuzzùpa in the shape of a heart. 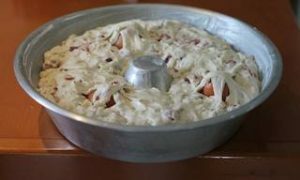 No matter what form the cake is molded into, tradition calls for a hard-boiled egg to be placed in the center, which is said to bring good luck: the egg is the symbol of the resurrection of Jesus. The cake itself requires very few ingredients: milk, flour, eggs, oil or lard, baking powder, and sugar. Cuzzùpa’s prepared by leavening the dough in a hot and poorly ventilated area. The dough is typically prepared at the beginning of the Holy Week so that the cake will be ready for Good Friday and/or Easter Sunday. Once cooked, some regions of Calabria add an additional white glaze over the top called “annaspero“. Ultimately, sugar, egg whites, and lemon juice are the only ingredients to annaspero. Sound like something you might like to try making at home? Try your hand at it by giving this delicious recipe a try. 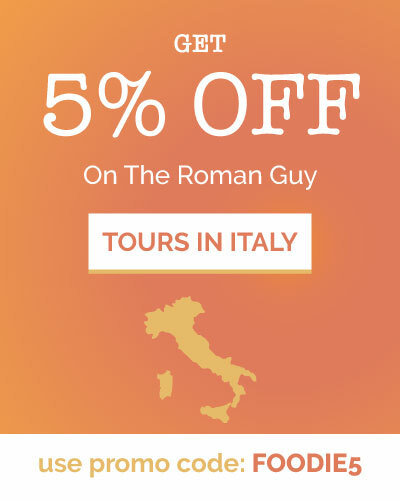 If you’re lucky enough to be traveling through Italy during Easter holiday, you’re in for a treat. Easter in Italy is synonymous with family and especially with good food. Visit one of these regions and see for yourself. Tasting is believing. Happy Easter! 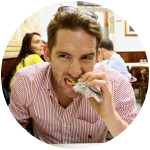 If you’re in Rome over Easter, check out The Roman Guy Local Rome Food Tour for a taste of the local culture!